Vezin, Jane (1827-1902): Accompanied her parents to Australia, and as a child singer and dancer, earned a reputation as a prodigy. As Mrs. Charles Young she made her first appearance on the London stage at Sadler's Wells Theatre. She divorced Young and married Hermann Vezin. She appeared at Drury Lane many times in her career. In 1866, she performed at the Adelphi in a benefit for the treasurer. Near the end of her career, in the 1880-81 Adelphi season, she appeared 100 times as Olga Strogoff in H. J. Byron's Michael Strogoff. 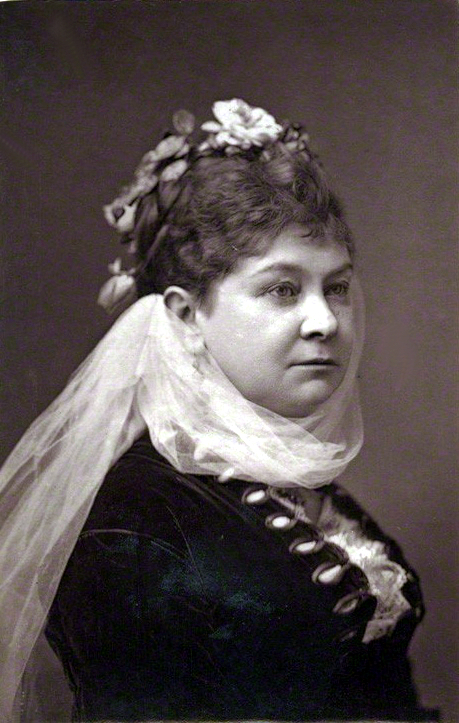 She fulfilled her last professional engagement at the St. James's Theatre, on 20 October 1883. The death of her daughter, in 1901, drove her to suicide.